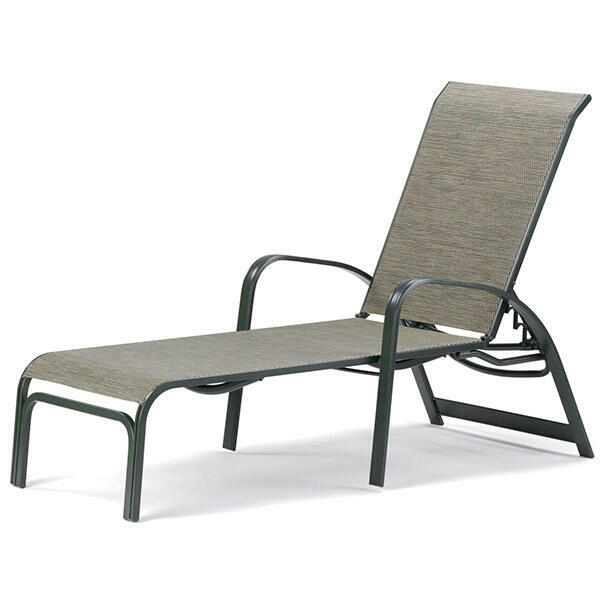 Relax by the Pool with Sling Patio Furniture - The Best Choice! Telescope’s Primera Collection has been in the line-up for 30 years for good reason: it’s a classic, all-around design that fits well into any environment; it has a substantial, expertly crafted frame that is impervious to weather, and it has a comfortable, waterproof sling seat that can be replaced when needed. This chaise was designed specifically for perfect relaxation; the four-position back allows you to sit at the perfect angle for you, and the lay-flat feature is a necessity for anyone who likes to take a snooze in the sun. The Primera Sling Four-Position Lay-Flat Stacking Chaise is available in 11 fantastic powder-coat finishes.